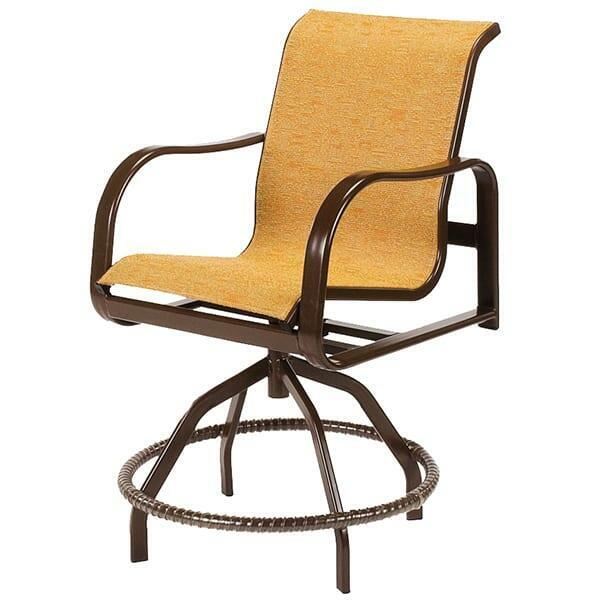 The Sonata Sling Balcony Chair by Windward Design Group will be the high note of your outdoor kitchen or dining area. This swivel balcony height stool is appropriate for any setting; the powder-coated aluminum frame is weather and rust-proof and the sling seat is quick-drying and water-resistant is built to be super comfortable and easy to care for; the all-aluminum frame is rust and weather-proof. Finished with your choice of Windward’s gorgeous powder-coat paints and any of their wide selection of sling fabrics; the Sonata Sling Bar Chair is made-to-order in the USA.